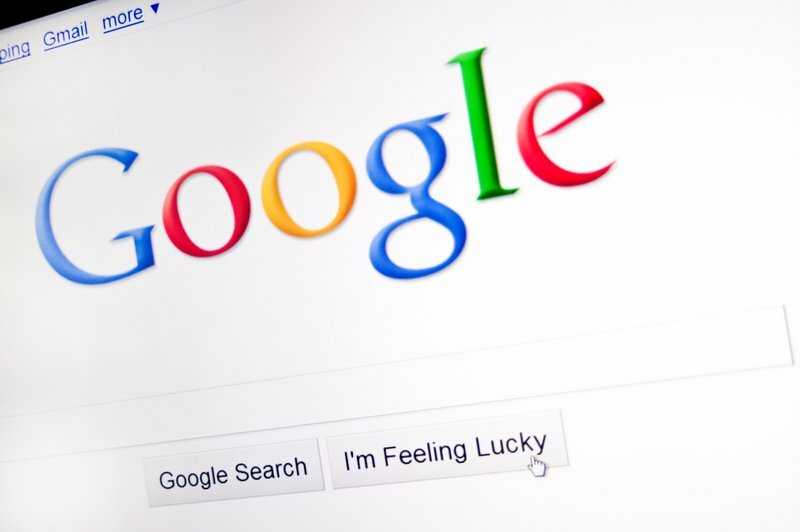 Google handles 40,000 search requests every second or 1.2 trillion searches every year. People want their search results accurate, so Google tweaks its search algorithm. Most of the time, you won’t even know anything has happened to the Google core algorithm. Every now and then, an update sends shock waves through the Internet world. Rankings fall and rise. Websites affected by the update scramble to understand what happened. They’re not digital marketers with their pulse on the industry. By the time they realize what happened, they’re rankings and traffic tanked, and they don’t know what to do. If you’re affected by a core update, you can recover, but only if you follow the right steps. How Does a Google Core Algorithm Update Differ From Other Updates? You have heard of other updates like Panda and Hummingbird. Each of these had major impacts on digital ecommerce and websites. They were not core algorithm updates. The algorithm considers more than 200 search queues to decide what sites rank for keywords. Google designed updates like Panda and Hummingbird to help a specific part of the algorithm. For example, Penguin helped control link spam. It changed a small part of the algorithm. It still had a huge impact on searches. A core algorithm update influences the entire algorithm. It changes the weight and value of each segment. The change could be minor or major. How Often Do Core Algorithms Happen? When a segment update happens such as Penguin, it’s obvious. There is a huge shakeup on the web. It’s rare that Google tells anyone when these happen until afterwards or not at all. A segment update might happen a few times a year. Google is more secretive of core updates. They’ll do these several times a year and you don’t realize. The impact on rankings is minimal. The company won’t say anything unless asked. When a Google broad core algorithm update causes a major stir, then digital marketers take notice and start asking questions. Google is often cagey with the information. It’s up to the SEO gurus to figure out what happened and who it affected. Your Traffic and Revenue Drops, Now What? It happens over a few days, but you first notice a drop-in revenue or traffic from your website. You check your keyword rankings and there has been a massive drop. What happened? Your first thought is a Google update, but don’t jump to conclusions. If you’re making changes to your website or went live with new plug-ins or web design, it’s possible Google dropped you. It’s not uncommon for significant website changes to impact rankings. Don’t always assume Google is behind the loss. If you haven’t done anything to your site over the last couple of weeks and the traffic loss is sudden, then Google could be the culprit. 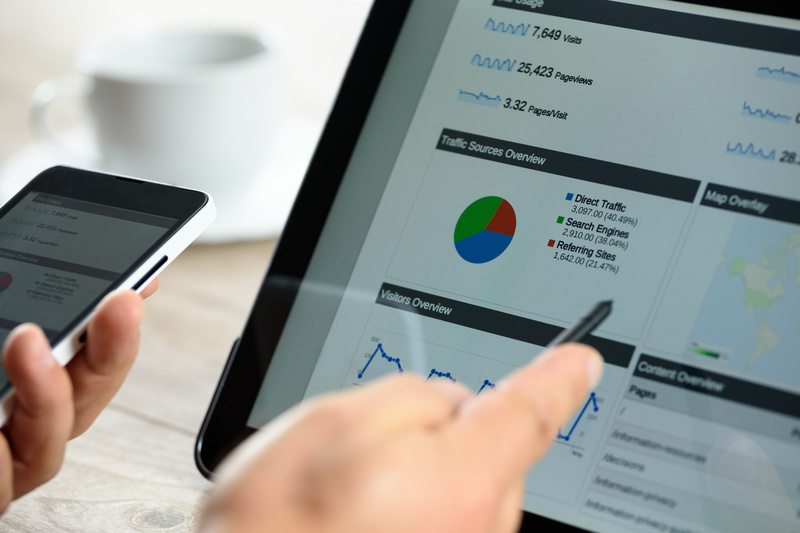 When Google does a major update that hits a specific industry or large number of websites, the digital marketing world notices. Check some of the popular marketing websites. Search Engine Journal and Search Engine Land have stories about recent updates. Since Google isn’t forthcoming with news, the stories will be light on information other than something happened. It takes a few days for them to put the pieces together and figure out what changed and why. It’s important to understand what the update hit and why. A recent core update harmed many medical sites, but also other industries. They designed the update to improve authority and rankings of websites with well-created information. For example, an article about diabetes from a doctor that is well-written and provides information improved in rank. A website that sells supplements with an article that was a sales pitch and not informative decreased in rank. If that site wanted to improve in rank, then it needs to provide information informative to searchers. The first step in recovering from Google core algorithm update is understanding why it affected your site. Once you do that, you can make changes to your website. The problem that most websites face is how long to recover. Low rankings mean low traffic and revenues for a digital business. You can’t go weeks or months without revenue but recovering from a core update takes time. It will be a few days or longer before you understand what the update was about. You must develop a plan of action to address the update and put in place the changes. How long that takes depends on what the update was about. Something like updating a plug-in or a small programming issue can be quick. If you need to completely reorganize your content and build new content, it can take several months. Google must notice the changes and change the rankings. This can also take several weeks. When Google changes rankings, it may not be where you were at before the update. 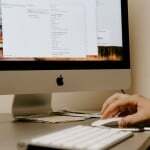 You’ll likely have to continue SEO efforts and update your site. Recovering from an update doesn’t only entail the update issues. It also means improvement of your site as a whole. With hard work, you may find yourself in a better position than before. Google loves well developed and informative content. Even if the update doesn’t impact that area, consider providing better blog articles and on-page content. Run an SEO audit on your site to determine common SEO problems that may be dragging down your site. Items such as slow page load times, no alt tags on pictures and duplicate or thin content could hold down your site down. Google puts considerable weight on backlinks. Backlinks are links from other sites to your site. Google understands if high-quality sites trust your information enough to link to it, then your site must have authority and improves ranking. Since it can take weeks or months to recover from a core update, consider other marketing options such as pay per click, social media advertising, content marketing and email marketing. Many of these methods cost money, but can boost traffic and revenues while you improve rankings. A Google core algorithm update can devastate a website. If you work on improving your site for searchers, then you’ll recover. If you want more information about algorithm updates and digital marketing, then visit our website. Recently, Google made an announcement regarding the addition of AMP framework to Gmail. For those who are familiar with Google’s Accelerated Mobile Pages (AMP) project, you understand that it’s the primary purpose is to improve mobile website experience for users. Webmasters are leveraging AMP Google Analytics to increase the amount and quality of AMP traffic. Now, this aspect is coming to Gmail too, and email marketers are yearning to see how things with change who the engage users. In this post, we’re going to delve into this new development and share more on Google AMP for email. To understand how AMP will work for Gmail, it helps to learn more about it and its originality. Popularly known as AMP, Google’s Accelerated Mobile Pages (AMP) project launched on Feb. 24, 2016, as an open source initiative. This means that anyone who wants to enhance their user web experiences can use it. Google developed AMP to provide the best experiences on mobile devices. In this case, users don’t have to wait for pages to load. According to Google, AMP pages load 85 percent faster than standard mobile pages. This framework allows publishers to deliver content at blasting speeds to mobile users. To this date, many publishers, including the Washington Post, Buzzfeed, and the Wall Street Journal, have implemented AMP on their mobile websites. WordPress users can also use a plugin, such as AMP for WordPress by Automattic, to configure AMP and build rich web pages. According to Google, the capabilities of AMP have expanded over time. As such, it offers an opportunity to optimize and improve one of the web resources where people spend most of their time: Email. Google announced that it’s bringing the power of AMP Project to developers through the Gmail Developer Preview of “AMP for Email.” With this provision, developers and senders can engage their contacts through interactive email experiences. The AMP open spec allows senders and developers to format and send email as AMP documents. It offers an extensive library of supported components to help users design interactive messages. With such experiences, Google says that it will easier to complete tasks directly in email. Users can use their AMP emails take different actions, such as submitting RSVPs to events, completing forms, and scheduling appointments from the emails they receive. Google Says that over 270 million emails are sent every day, and the number is expected to grow. The search giant noted that companies, such as Doodle, Booking.com, and Pinterest, are already using AMP for Email to improve their experiences. The question is, what does this mean for newsletters? Marketers are already debating whether the AMP for email will allow publishers and marketers to convert, engage, and earn new subscribers all in the same email. Some are also eager to see how this framework will affect clickthrough rates. There is also the issue of unsubscribing and the online community is eager to know if users will be able to unsubscribe from newsletters directly. The expectations are high given that Google said users would be able to fill up forms without being directed to a form on a new tab. It’s no doubt that Google AMP improved the experiences of mobile pages. According to Chartbeat, AMP pages and Facebook Instant Articles (FIA) are receiving a significant percentage of publishers’ mobile traffic. Plus, readers tend to spend more time on AMP pages than standard pages. But, can these successes be experienced in email? Some people are already asking whether the initiative was really necessary. Plus, they want to know what problems AMP for email solves apart from improving user experiences. Devin Coldewey wrote a post for TechCrunch expressing why email AMP is a bad idea. According to Devin, there are no significant user complaints about the current email experiences to justify this initiative. He continues to say that no one will gain anything by changing this aspect of email. Devin claims that the new AMP is just a way for Google to expand its market share just because Facebook is doing it, too. He says that Google is using his privileged position as search giant to define the content world the way it wants. There have also been various comments on Twitter. For example, Marco Arment notes that Google to focus on fixing common problems, such as security, spam, overload, and filtering instead offering AMP for email. As of March 2018, Google AMP for email is still at its infancy stage. There is so much that has to be done to roll out this initiative to all email users, but a full rollout is expected later this year. At the moment, the project is only accessible to developers who can request preview access. Developers can use different AMP components in their messages, such as accordions, carousels, and forms. Also, they can ensure their emails are always up-to-date by using things such as amp-list and amp-bind with their own back-end data. Also, Gmail is the only email client that supports it now. But because AMP for email is an open source spec, other email clients may adopt it as well. Well, if you didn’t know anything about AMP for email, this post has shared enough to keep you in the loop. You now know the state of things and what to expect with this new development. Google’s focus has always been to improve web user experiences across different devices and web properties. With Google AMP as their latest serving, it’s exciting to see how marketers and publishers are going to use it to engage their audience and get feedback at the same time. Penguin 4 Update: Has Your Site Recovered? Did your site get hit by the Penguin 4 update? Are you wondering why it hasn’t recovered? After almost two years of waiting, the Penguin 4 update finally rolled out at the end of September. Different from previous updates, Penguin 4 is a real-time update. This means websites are now being evaluated in real-time and will increase or decrease in rankings in real-time. This is good news if your site was hit during the roll-out because you can make changes and get out of your Penguin penalty now. If your site hasn’t recovered yet, read on to learn more about Penguin 4 and what you can do to get your site rankings back up. If your site hasn’t recovered yet, read on to learn more about Penguin 4 and what you can do to get your site rankings back up. From specific words on websites to your region and the freshness of content, Google’s filtering process relies on over 200 unique signals to find the search item you’re looking for. One of these signals is called Penguin. Google detects sites that are spamming the search results. The Penguin filter has been run periodically since 2012 to capture those sites that are getting past the regular spamming systems. In the past when Penguin caught a spammy site, the site would remain penalized no matter how they changed until the next time Penguin ran. Before Penguin 4, there hadn’t been a Penguin update since October 17, 2014. Every site hit then had to wait until this recent update of Penguin 4 to become unpenalized. Now, site owners won’t have to wait months to be recognized in the search rankings by Google. Penguin 4 is real-time, so as Google constantly reindexes pages, the Penguin filter is constantly assessing those pages. Penguin with catch and free sites in this ongoing process. The Penguin 4 update also made the filter more granular. It now adjusts ranking based on spam signals, rather than affecting the ranking of the whole website. This means that it is no longer only a sitewide penalty. Penguin can impact specific pages on a site as well as sections or wide swaths of a site. But the whole site isn’t affected, and some pages may be fine. Even though Google has claimed that the Penguin 4 update is real-time, some sites still haven’t recovered from previous penalties. Here are a few possibilities for why your site hasn’t recovered yet? 1. The update is still rolling out. Penguin 4 is quite different from the previous versions. Rather than being an actual update, it replaces the previous versions and works differently than they did. Penguin 4 has been rolled out in a couple phases. The new code went live around September 23 when Google announced it. But for the new code to completely take effect, it had to wait for the entire link graph to be refreshed, which can take some time for deeper links. Because of that, it may have taken a few days for the initial roll-out to fully take effect. 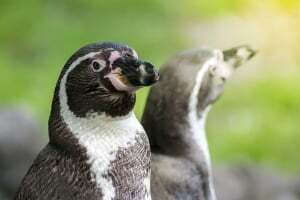 Google also rolled back previous Penguin penalties after the new code launched. Google announced on Twitter that the Penguin roll-out was in the final stage on October 7, still removing demotions over the next few days. It is possible that not all Penguin demotions have been removed yet. Your site may be one of the unlucky few. Monitor your keyword rankings instead of traffic to see if your site is improving. 2. You still have too many broken links. While you may be trying to hold on to as many links as possible, bad links may be keeping your site down in the Google rankings. Bad links can come in several forms. When you delete a linked page, insert an incorrect URL in a text link or change a URL address without correctly updating the URL, you get a broken link. One of the ways Google’s algorithms rank websites is by crawling their links. If your site has broken links, these algorithms stop from crawling and indexing it. Google aims to avoid directing users to sites that have these broken links. If you still have too bad links lurking on your site, it is likely affecting your ranking with Google. Even though Google claims not to be penalizing the whole site, bad links could still be causing the issue. Other algorithms could be catching these bad links and keeping your site low in the rankings. Continuing to clean up bad links could help get your site back up in Google. 3. You don’t have enough links anymore. Perhaps you got so carried away with taking out bad links that your site doesn’t have any links left. It’s possible that your Penguin penalty was lifted when you removed the bad links, but if you don’t have enough good links left then your site still won’t rank well with Google. Backlinks are important for ranking in Google. 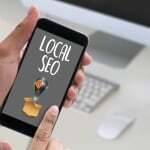 They may account for as much as 80 percent of the weight that search engine ranking algorithms give websites. Without backlinks at all, your site doesn’t stand a chance. Instead of focusing on taking out all the bad links, turn your efforts to getting more quality and authoritative backlinks in your content. Since Penguin 4 is real-time, implementing backlinks now can have a positive impact and get your site back up in the rankings quicker. 4. Your site has other issues that don’t involve Penguin. Penguin is only one of more than 200 signals that Google uses to determine site rankings. There could be a slew of other catches taking place that have nothing to do with Penguin. Your site could have been suppressed by Panda or one of Google’s Quality Algorithms. You may be having other technical SEO issues that don’t have to do with bad links. If your site hasn’t recovered from Penguin, it’s worth digging deeper than just fixing your links. If your site hasn’t recovered from Penguin 4, keep waiting a short while as the update is still rolling out. But don’t hesitate to disavow those bad links or add some high-quality backlinks. Most sites are experiencing improvements from the update, and yours should be right up there with them.